Are Article Submissions for SEO a Thing of the Past? 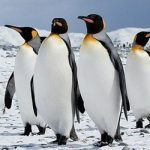 Google’s two most famous ever algorithm updates of recent times (which funnily enough are named after black and white animals – Panda and Penguin) have changed the landscape of SEO forever. It’s fair to say that the tactics that worked to help ‘SEO’ your website in the past no longer work to the same effect in these modern times. One method of building links that large numbers of SEO’s used to use was article directory submissions. The deal was easy – write a piece of content at around 400 words, make sure a link back to your website was included in there somewhere, before finding one of the hundreds, if not thousands of free-to-use article directories available online and submit it – reaping the benefits as your rankings slowly began to improve for the keyword you were targeting. All sounds very fluffy doesn’t it? And like the rare, fuzzy animal, Google decided that enough was enough. It shouldn’t be that easy to manipulate it’s ranking signals and times were about to change. Panda initially targeted these kinds of article directories – those which hosted lots of poor quality content which had a sole purpose of building links back to people’s websites. As the effects of this kicked in, those who had been using this as a tactic found that they had lost ground in their rankings and that the links that were once working really well were now no longer as effective. 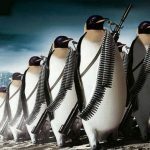 To make matters worse for those using article submissions, in early 2012 Google launched its Penguin algorithm. This was specifically designed to target links coming from poor quality sources – including places such as article directories which had purely been set up for SEO purposes. Other things also came out of the Penguin algorithm and its subsequent updates, such as targeting backlink profiles which had been over-optimised. As it usually took a lot of submissions to article directories using the same or similar anchor text keywords to get noticed by Google initially, this new update provided Google with evidence that the site owner was partaking in activity to try and manipulate the search engine’s ranking signals. Should I use article submissions or not? This very much depends and it’s difficult to say that you shouldn’t use them completely as in certain cases they can still help. For those in competitive industries such as travel or finance then you should try something of a higher quality, but where things are less competitive and you are in a smaller niche then they can help ‘get you off the ground’ when it comes to building a backlink profile on a small budget. The key thing – as with any form of SEO activity – is to do everything in moderation. Too much of any one form of link building can end up damaging your site, so if you are going to choose article submissions, only do a small amount or for a limited period of time.